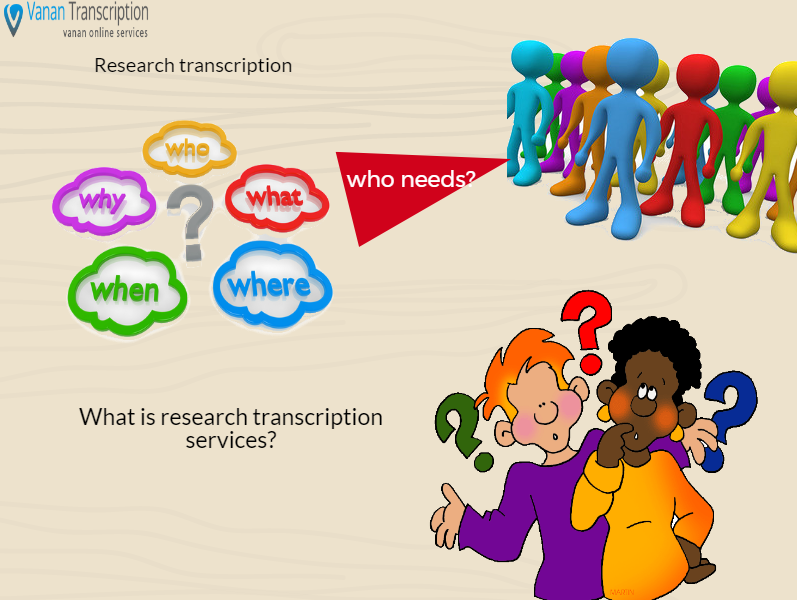 What is Qualitative Research Transcription? Who Needs? Qualitative market research has benefited heavily from innovative technologies as researchers can easily intermingle with participants in the field for prolonged interaction and observation. Online qualitative research transcription allows you to lay out the expressions of informants and capture aspects of the topic from their vantage point. A cream of the crop transcription provider catering for qualitative market research can work through focus group conferences and in-depth interviews recorded as video/audiotapes, interactive voice recognition systems and internet audiovisuals. They hinge on native transcribers habituated with interview recordings and objective data collation for high accuracy. The transcription companies also crawl with bilinguals who transcribe in multiple languages such as English, French, Spanish, Arabic and so forth. Top-notch transcriptionists help researchers to extract data on participants’ personal histories, outlooks, and experiences from in-depth interviews. They also bring forth data crystallizing cultural perceptions of audiences as captured from focus groups. A reliable and affordable market research transcription services can effectively prise out details from electronic recordings to stitch up business decisions on start-ups, growth, products or services and innovation. “Raw” recordings allow market researchers to obtain firsthand customer information that feeds into improving services or products by focusing on their needs. With competition heightening in every line of merchandise, successful brands invest plethora cash in market research, including transcription. Professional transcriptionists can render verbatim transcripts that present words as spoken literally. They use parentheses to present all non-verbal cues and background sounds while preserving foul language, informal expressions, misused words or notions, slang and grammatical errors. Proofreaders pore over transcripts for errors and cross-check accuracy against the audio feed, and then rehearse the final output accordingly. Market research transcription services help elicit information on products and services while acting as a driving force behind brand prosperity. Researchers admit the task of collecting data is laborious but require a transcript for quick retrieval and accurate archival. Superlative market transcription solutions can grease the wheels for your business when launching new products or services. Dissecting your customers’ responses and demographic analysis shapes vital commercial decisions determining the next step for your business. Although transcription is simply the conversion of speech to text, qualitative research recordings can eat away into a researchers’ time but yet market research transcripts require urgent execution. A projected market research project can generate vast quantities of raw data that consume hours of listening and counterchecking for accuracy. Additionally, expert transcriptionists possessing subject matter expertise mine, time-code, extract, blend, and sift out data from recordings to create personalized transcripts. Outsourcing market research transcriptions allows you to complete projects punctually and cost-efficiently. A team of professionals and streamlined workflows offered by specializing companies ensure you whip through the projects quickly and affordably. Well-turned transcripts capture questions and answers sequentially to view products or services through the consumer’s prism. Businesses, large or small can capture client insights on their target markets through internet-based agile market research. Researchers record telephone survey campaigns, focus group discussions, market research interviews, client survey responses, risk analysis discourse, and so forth. All electronic recordings must be transcribed accurately and timely to keep pace with business marketing and sales promotion campaigns schedules. Next Post:What You Need to Know About Insurance Transcription!